If you remember anything from your high school science classes, your teacher spent time instructing you on the two main transformations that happen in our world. Things either undergo a physical change or a chemical change. Both processes happen to wine. There’s an amazing amount of science that occurs in the gorgeous glass of wine you’ll enjoy this evening. Here are a few highlights. We usually only think of temperature when preparing to drink wine. We want our white wine chilled, and our red wine at room temperature. From a science standpoint, during the fermentation process, the actual temperature of the wine is less critical than the stability of the temperature. The optimal storage temperature of wine is about 55 degrees. Any fluctuation will cause the wine to contract or expand. The glass bottle is a constant, but expansion or contraction of the wine due to temperature fluctuation increases or decreases the pressure in the bottle. The cork doesn’t make a completely airtight seal. The expansion will force some of the wine’s bouquet to escape through the cork. Contraction pulls a slight vacuum, pulling air through the cork and causing oxidation. This is what can ruin the wine. 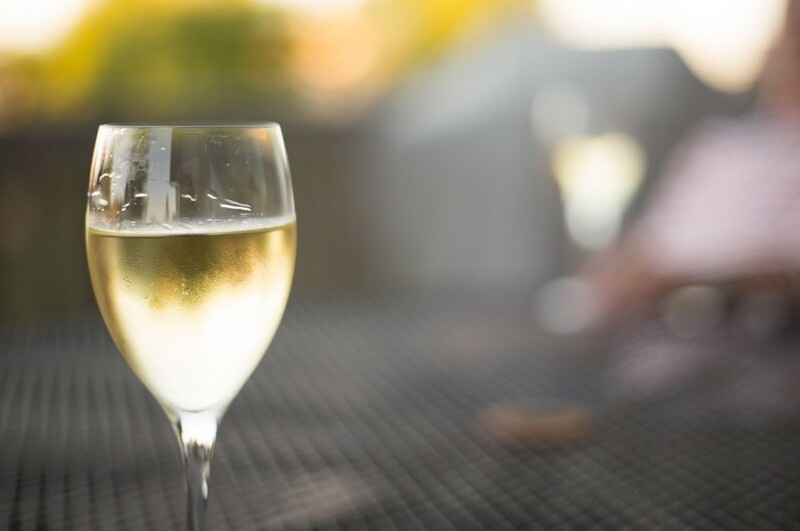 A certain amount of oxidation is what mellows wine, but too much oxygen pulled into a wine bottle because of fluctuating temperatures will destroy the wine. There is science behind the serving temperature of the wine, as well. Chilling wine helps to accentuate its acidity. White wines tend to have acidic flavors, so chilling it helps to present the character. Chilling a wine promotes the flavor contributions of tannins. These are in the seeds and skins of grapes, and red wines often are crushed with both. A chilled red wine becomes less appetizing because of this. Yeast eats the natural sugars in grapes during the fermentation process. The result is carbon dioxide, alcohol, and more than 200 aromatic esters. The combination of these three things is what gives each wine its unique characteristic and flavor. Those esters are extremely important. Each has a unique and familiar taste and feel on our tongue, and our brains create associations with them. It’s why when you smell an onion you can easily recall its taste and texture. You’ll often hear how a white wine has a note of green apple, or a red wine has a note of tobacco. Many of those 200-plus esters in wine have previously-established associations. The aroma or taste of wine triggers that alternate association. All of this takes place as the wine ferments. Sometimes this begins in oak barrels or even large stainless-steel vats. It continues after the wine is bottled. Wine made of grapes from a particular place will possess the characteristics associated with the physical environment where the grapes were grown. It’s why most wine stores sort what they sell by region. There’s more than geography making up a wine’s characteristic. Additional factors include weather and rainfall, as well as soil conditions and other factors that have a physical impact on the grape vines and the fruit they produce. Collectively, this is known as “terroir.” It causes a great amount of debate, mainly because there’s little agreement on exactly how much these physical things impact what you end up tasting when you drink wine. Some winegrowers have begun to use the concept of terroir—specifically the impact of rain—to apply stress to a crop by limiting irrigation. Their hope is to increase the production of aromatics in the grapes, which should manifest as a deeper body in the wine. Something no one debates is the science-based impact that climate has on grapes that become wine. Climate impacts grapes the same way it does any harvested produce. A warmer temperature will produce a riper fruit. When grapes ripen, the amount of sugar they produce will increase. We will perceive it to be less acidic when we drink the wine made from these grapes. So, you’d think that wines produced from grapes grown in warmer climates would produce sweeter wines. This turns out not to be the case—and it takes us back to a chemical change. When these grapes with higher sugar content begin to ferment, the yeast has more sugar to consume. The result is a wine that’s higher in alcohol, with a less acidic taste. And, it’s why white wines tend to have a higher alcohol content than red wines. It’s estimated that a glass of wine can contain thousands of different chemical compounds. They’ll continue to interact and cause changes as the wine is exposed to the air and its temperature changes. Even the shape of the glass can affect what you taste and smell. This is especially the case with bubbly wines. They release unique aromatic chemical compounds when their bubbles burst. Fluctuations in the concentration of these chemical compounds can make noticeable changes, too. Science has identified one compound known as 3-isobutyl-2-methoxypyrazine. Isolated, it tastes like green bell peppers. You definitely would not like a wine if this particular chemical compound was too pronounced. Grapes grown in full sun have been found to produce less of this compound. If you know even just a little bit about wine, you’ve come across the concept of tannins. Your brain may have even made an association with the bitter edge you taste from over-brewed tea. People often say that red wines with a high tannin content make their mouthfeel drier after they’ve taken a sip. Science can explain this. Tannins bind to the proteins in your saliva. We appreciate tannins in our wine because they help to give the wine a long aftertaste. We wouldn’t appreciate it if the tannin level is too high, though. Scientists theorize that grapes developed tannins in the skin and seeds as an evolutionary tactic to prevent animals from eating the fruit. We usually think that an amazing glass of wine is due to the artistry of the winemaker. He or she is actually more of a scientist. They leave art up to whoever has been hired to create the label. For more information about Orange Coast Winery, our selection of wines, or to join one of our wine clubs, give us a call at 949-645-0400 or send us an email at ocwoffice@gmail.com. Serve Chilled; But How Cold is That, Exactly? Wine doesn’t have to be complicated. There’s nothing wrong with picking up a bottle at a store (or local winery), going home, opening that sucker up, and pouring yourself a glass. In fact, that sounds pretty right to us. But there are various things you can do to get the most out of your wine. Choosing the right type of glass, for example, can make a big difference. Another important aspect to think about is temperature. Why does temperature matter for wine? Wine is fascinating. Unlike most beverages, one bottle of wine can have numerous flavors, some that are obvious and others that are aren’t. When wine is served at the right temperature, this allows you to experience all of those subtleties. If it’s too warm or too cold, you won’t get the best flavor. Should all wines be chilled? Not necessarily. Whites and sparkling wine are better when chilled. Reds, on the other hand, shouldn’t be too cold. It’s often said that they should be served at room temperature, but there’s a bit of a misconception when it comes to what that means. We’ll get to that. If you are having a party or some kind of celebration and you’ll have some bubbly on hand, you’ll want to make sure it is cold – between 40 and 50 degrees. In addition to giving you the best flavor, this will keep the bubbles fine and not foamy. Sticking it in the fridge for about an hour before you open it should do the trick. And once opened, keep those bottles on ice. Any white or rosé should also be cold, but not quite as cold. Between 50 and 60 degrees is best. A half hour to about 45 minutes in the fridge should get that bottle down to the perfect temperature. But unlike champagne, don’t keep the bottle on the ice after it is opened. As it warms up, you will begin to notice – and appreciate – slight changes to its aroma and flavors. Okay, here’s where the whole “room temperature” things comes into play. Red wine is best when it is served between 60 and 70 degrees. If you usually keep your home in that temperature range, room temperature is fine. But if it’s a chilly night and you’ve got the heat cranked up or a fire going, odds are good that you’re way over that 70 mark. The same is true during summer months. Just sticking your bottle of red wine in the fridge for 10 to 15 minutes can get it to that optimal temperature. And when it’s open – just like with a white wine – let it sit where it is. Clearly, cooler is better when it comes to wine. The best temperatures for storage are between 45 and 65 degrees, with 55 being ideal. And while your fridge is okay for a few months, any longer and your wine will probably suffer. This is because the temperature will probably fall below 45. The lack of moisture may also dry out the corks, allowing air to seep in. For long-term storage, your best bet may actually be your basement. Want to stop reading about wine and start drinking it? Come on down to Orange Coast Winery. No matter which type of wine you’re in the mood for, we’re ready to pour you a glass that’s the perfect temperature. Aerating wine is a process that means exposing it to oxygen, which can greatly affect the taste. 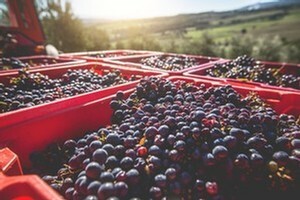 “Wines, particularly red, often benefit from a little aeration to allow the fruit to shine through and the flavors to mellow out,” according to TheKitchn.com. What does aerating wine do to enhance the flavor? Wines can be “tight’ or “closed” when first opened, which basically means they don’t have much in the way of flavor or aroma. Exposing wine to oxygen may help these wines become what they should be. Wines that have high levels of tannins or a single, overwhelming flavor can be softened by exposure to oxygen, making them taste better. After a wine is bottled, it can experience chemical reactions that produce gases. They can even smell “off.” Aerating can help eliminate the gases, leaving only the good taste of the wine. Any wine can change upon exposure to oxygen, which can help it become more complex and expressive. How do you aerate wine? There are several ways to aerate wine. The first and easiest is to open the bottle a few hours before you drink it. However, you may not have time to let a wine sit that long. The next easiest method is to pour the wine into a glass and swirl it around. You’ve probably seen this done at wine tastings and wondered about its purpose. “Swirling both aerates the wine and volatizes it, releasing more aromatic molecules into the air,” according to NorCal Wine. The third way to aerate wine is to pour it from the bottle into a decanter. Decanters have a wide bottom so the wine is exposed to more oxygen, and thus, this method works faster than just swirling wine in a glass. It’s best to use a funnel that allows the wine to run in sheets down the inside wall, rather than pouring it directly into the bottom. The final method for aerating wine involves devices that can speed up the process for those who might be in a hurry or who don’t have time to let a wine “breathe” before serving. 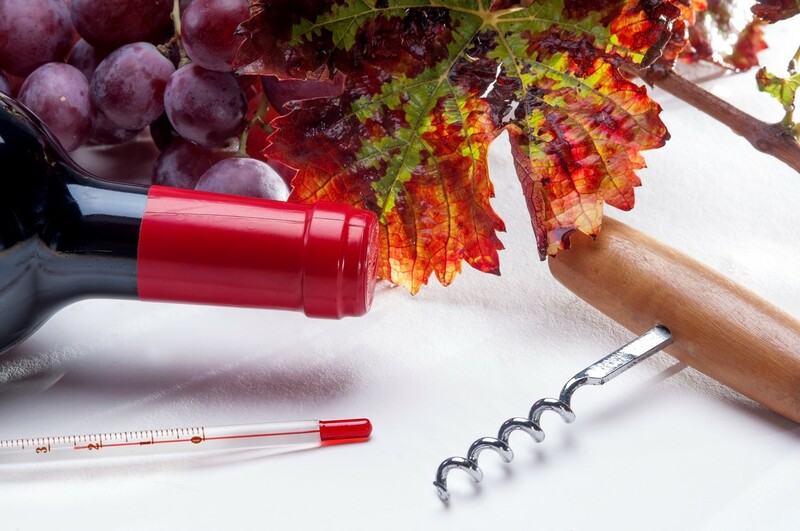 Types of wine aerators and what they do. There are three main types of devices that can speed up the process of aeration. Handheld – These devices are held over a glass and the wine is poured through them. Handheld devices include the Vinturi Line. “They will typically come with a screen, a base for the aerator, and also a stand. They allow a large amount of air to get to the wine in a very short amount of time,” according to Wine Enthusiast. In Bottle/Stopper – These devices fit right inside the bottle. They are the most convenient because they can also be used as a stopper once a bottle is opened. This type includes the Rabbit Aerating Pourer, Wine Twister, and VinOAir. In-Glass/Decanter – This last type of aerator sits in the spout of a decanter or the glass. “This style is similar to the handheld version but requires a little less work. Vinturi can be used in this fashion as it will fit atop most decanters, allowing for double aeration,” according to Wine Enthusiast. Why should you consider buying a wine aerator? If you are pressed for time, you won’t have to let the wine sit in a decanter; you’ll be able to enjoy wine immediately. “It will often have the same positive impact on the flavor of wine as letting it breathe for 30 minutes in a decanter,” according to TheKitchn.com. You can also aerate the wine by the glass, so if you don’t need the whole bottle, only pour the amount you want. Wine aerators may even make a cheaper bottle of wine taste twice as expensive since they do such a good job of enhancing the flavor and aromas. A wine aerator is a good tool to have in your wine-drinking arsenal. Use one to get oxygen into the wine when you’re in a hurry, or to simply to enhance the natural flavor and aroma. Does Wine Really Need to Breathe Before You Drink It? It often improves the taste, but uncorking a bottle and letting it sit undisturbed for a while doesn’t accomplish your goal. We’re going to apply some obvious common sense to this subject right at the start, and then we’ll get into what you really need to know about allowing wine to breathe. You uncork a bottle of red wine and set it back down on the counter. There it sits, undisturbed, for 20 minutes or so. It’s breathing, right? Actually, it’s not. Barely any of the wine has come into contact with air if all you did was uncork it. It’s for this reason that you also shouldn’t worry too much about recorking a bottle of wine that you don’t finish a bottle of wine. It’ll generally stay in the same drinkable condition for a couple of days after you open it—because very little of it is ever exposed to air. There you go. That’s pretty much all you need to know about what does not happen when most people think they are allowing a bottle of wine to breathe. Exposing wine to air for a short time allows it to oxidize. This process—known as oxidation—helps to soften the flavors and releases its aromas. Most red and white wines will improve when exposed to air for at least 30 minutes. The improvement, however, requires exposure to far more than the teaspoon or so exposed by simply uncorking the wine. To accomplish this, you have to decant the wine. This process aerates the wine in its entirety. You want the wine—all of it—to breathe or be exposed to air. This is the way to do it. Decanting wine serves a dual purpose. You’ll aerate the wine, and you’ll separate it from any sediment that may have formed during its production and aging. White wines rarely produce sediment, but older reds and vintage ports continue to produce it as they age. It’s caused as color pigments and tannins bond together and drops to the bottom of the bottle. Stirred up, those sediments can insert a bitter flavor and gritty texture to the wine. They will also cloud the wine’s appearance. Decanting a wine is a fancy way of saying you’re pouring it from the bottle into another vessel. As you pour the wine slowly but steadily from the bottle to a new vessel—say, a carafe—you’ll expose it to air and separate the sediment from the wine you’ll end up drinking. It’s a gentle process, and you’ll likely sacrifice only about an ounce of the wine that’s filled with sediment. The magic will start to happen now that you’ve exposed the entire bottle of wine to air. Young red wines can be high in tannins. This is especially true of Cabernet Sauvignon, Bordeaux, and Red Zinfandel varieties. Aeration exposes the tannins to oxidation, which softens their mild bitterness. White wines don’t have tannins, so decanting them isn’t really necessary. So, the whole “uncork it and let it breathe” thing isn’t doing too much. It doesn’t accomplish what you want. Decanting, on the other hand, is definitely much more effort than uncorking a bottle and setting it back down on the counter for 20 minutes. Is there a middle ground? You can accomplish much of the same benefits of decanting by pouring the wine into your glass and gently swirling it each time before you take another sip. The quicker you can get to the stain, the better your results will be. Once red wine spills on fabric, it starts settling into the fibers. It’s essentially acting as a dye, so you’ll want to try to take care of it as soon as possible. For any spill, the first instinct is usually to grab a towel and start scrubbing. Sure, this may get some of the wine out, but it will actually do more harm than good. You’ll probably spread it and also push it deeper into the fabric. This one may sound obvious, but many people think heat will help clean up red wine and they reach for a hairdryer. Actually, it’s the exact opposite; if the stain dries as the result of heat, that stain may never come out. Oddly enough, there’s a rumor floating around that says white wine will clean up spilled red wine. White wine has no cleaning abilities and if used, it may cause the stain to spread. The first thing you should do is find a dry material. Many things can work, including baking soda, baby powder, and even kitty litter. But for the best results, you should use salt. Start by covering the stain completely and then let it sit. Remember, don’t rub or scrub. After a few minutes, you can begin to blot. If you got to the stain fast enough, this may be enough to remove it. Milk is actually pretty good when it comes to absorption. Cover the stain with it and wait a couple of minutes. Then use a sponge or dry towel to blot it up. Dry heat is bad, but wet heat can be excellent for a red wine stain. Hot water by itself won’t really clean up the wine, but it will cause it to lose its stickiness with the fabric. Just like hot water, the old tried and true club soda will help lessen the wine’s grip on your fabric. For improved results, try using it with white vinegar. If you have an Oxi cleaner, you probably know already how good it is at getting out stains. For your wine stain, just apply it and wait about a half hour before blotting. Oxi cleaners are even good for dried stains, so if you didn’t notice one until your party was over (or a guest neglected to inform you about it), it may get that old one out too. 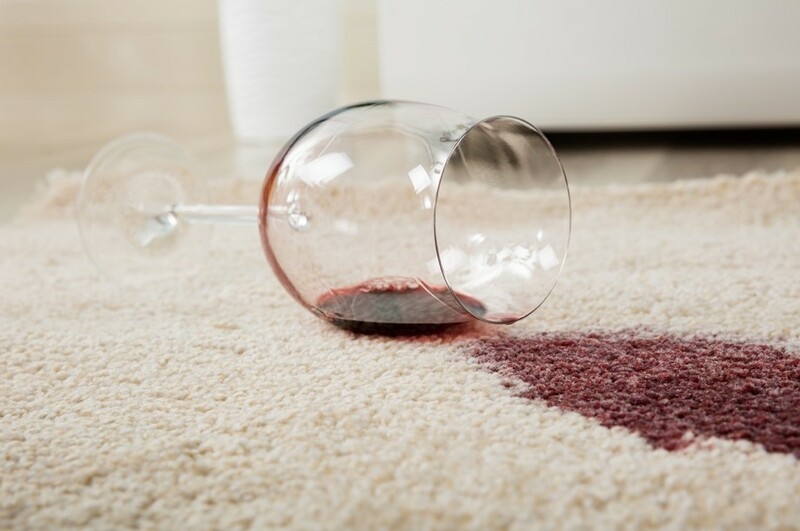 Wine spills are tough (mostly because of the wasted wine), but with these tips, they don’t have to end in an ugly stain that causes you to move furniture or overturn a couch cushion. And if you don’t want to worry about wine stains in your home, just come see us at Orange Coast. We’ll take care of any spills – and always make sure your glass is full. Does the Shape of a Wine Glass Really Matter? In a perfect world, whenever we want a glass of wine, we would just go over to our wine rack (or maybe take a trip down to our wine cellar) for a great bottle and then head over to our stemware cabinet for a gleaming wine glass. But in reality, we probably just grab a bottle off the counter and perhaps take a cursory look for a clean wine glass, settling for a coffee mug or anything within arm’s reach. Wine can be great no matter what you drink it from, but to enjoy it more, you’ll definitely want to sip it from a wine glass. And on top of that, depending on your choice, you’ll want to choose the right type of glass. If you’ve ever wondered why glasses come in so many different shapes, let us explain. Most people know that smell plays a huge role in the taste of wine. This is why you’re encouraged to take a nice, long whiff before you drink, as this will help you appreciate its flavor. And this is at the heart of why wine glasses have different shapes. Red wines have a big, bold flavor, which is why red wine glasses have wide bowls. This allows the aroma to be released. Red wine is usually best at room temperature, which means holding the glass by the bowl is fine. In fact, stemless red wine glasses are gaining in popularity. Real wine connoisseurs even have different wine glasses for specific types of red wine. 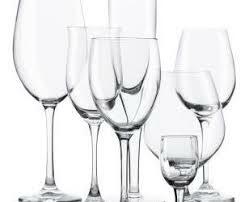 For example, glasses for merlot have tapered tops and big bowls so the wine can first be swirled to open up the aroma. Pinot noir glasses are similar, but generally their stems are shorter. Port glasses have smaller bowls in order to keep the powerful smell contained. While you want a red wine to get a lot of oxygen, the same isn’t as true for white wine. This is why many glasses have a tapered bowl and narrower rim. Because white wine is best when chilled, the glasses should be held by the stem to avoid heating it up. Just like reds, certain whites have their own distinct glasses. Riesling glasses, for example, are tall and thin so the fruit-filled aroma will stay at the top. Sauvignon blanc glasses are also tall, and they have small bowls so the aroma can be delivered right to the nose. 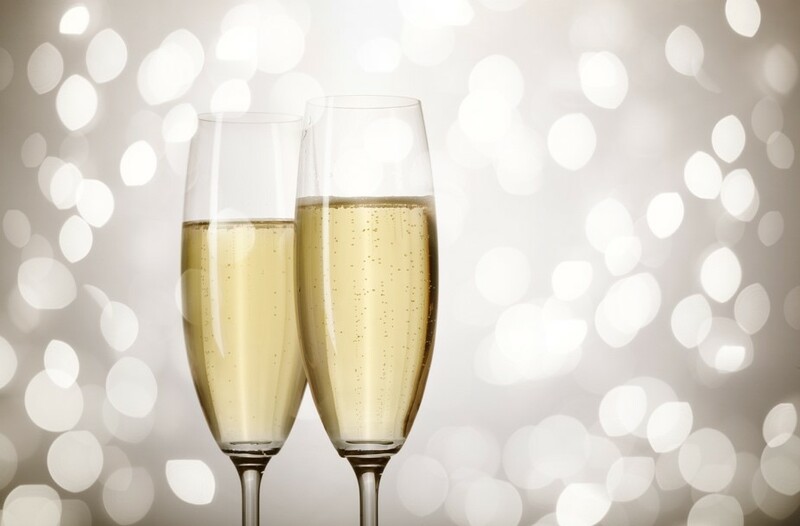 There’s a reason we’re supposed to drink sparkling wine – or champagne – with those incredibly narrow glasses known as flutes. This is so the bubbles will hit your tongue as soon as you take a sip. The thinness of the glasses is also meant to make the carbonation last as long as possible. And let’s not forget the aesthetic appeal of those upward traveling bubbles, showcased nicely in those long bowls. 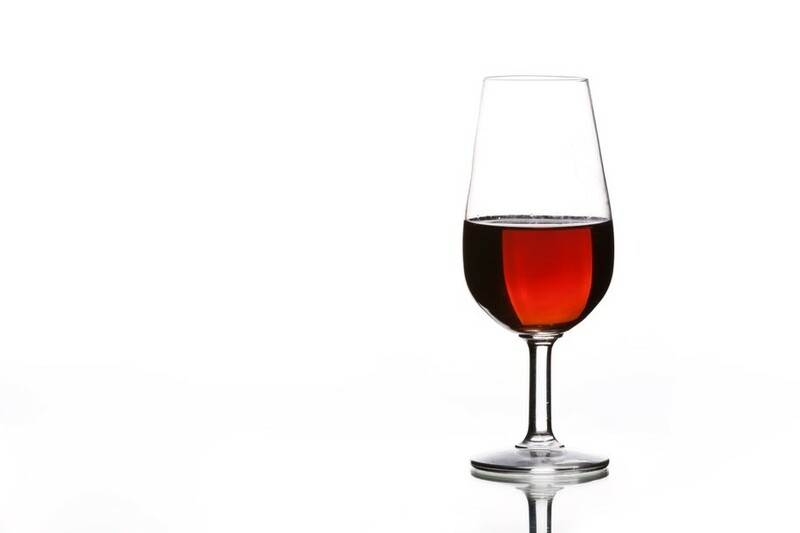 To get the best taste from a dessert wine, you’ll want to pick a glass that is tall and tapered. The best dessert wine glass has a bowl designed to highlight its acidity but at the same time balance its sweetness. 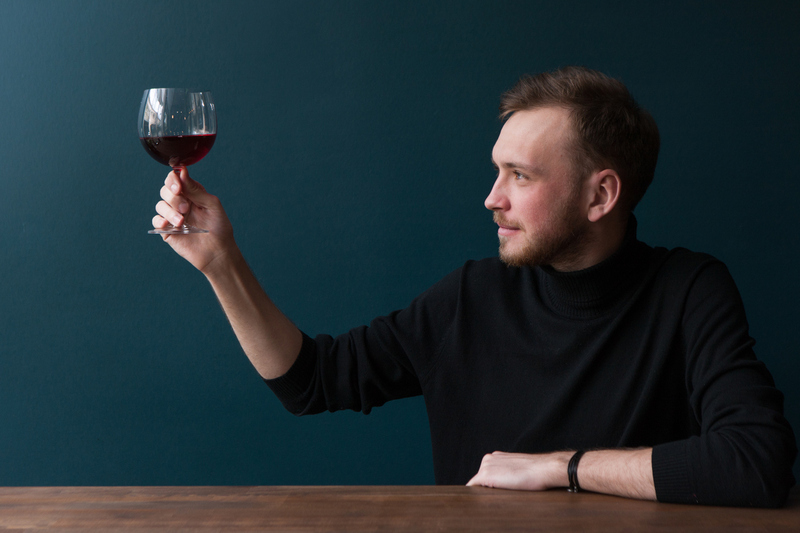 Now, we’re not suggesting you go out and buy dozens of new glasses for you and your friends, but if you’ve got a particular favorite wine, it may be worth picking up the perfect kind of glasses to boost your enjoyment. For some more tips about drinking wine – with the added bonus of actually getting to drink wine – we’d love to see you at Orange Coast. We’ll make sure whatever you’re drinking, it comes in the perfect glass. Feel honored if one offers to help you select your wine – as there are only a couple hundred of them worldwide. You were already impressed by the restaurant, but now it just skyrocketed. You’ve just been told that a Master Sommelier will assist you with your wine selection. You’ve heard the term. You know it means this person knows a lot about wine – a whole lot. But other than that, you’re not quite sure what this person can or should do when they show up at the table. Here’s what you should know. The first thing you should know is that you’ll be talking wine with someone who has a designation that has been bestowed on only a couple hundred people worldwide. A Master Sommelier is someone who has earned a diploma by successfully passing a 3-part test given by the Court of Master Sommeliers. It sounds like an organization that’s been around awhile, but it hasn’t. The Court of Master Sommeliers was established in 1977, though the first exam was given in 1969. Yes, for all the pomp and circumstance surrounding the name, this is actually an organization supported by the British Hotels & Restaurants Association, the Wine & Sprit Association of Great Britain, and the Wholesale Tobacco Trade Association. Which is why the Master Sommelier about to arrive at your table also will be highly knowledgeable about beer and cigars. The first is a verbal exam on restaurant services and salesmanship. This is where the prospective Master Sommelier will be asked to show knowledge and understanding about pairing wines with foods, and also demonstrate their knowledge of all types of liqueurs which are available. The second section tests theoretical knowledge, including knowledge of international wine laws and demonstrating how to decant or store wines. The third is the part that gets all the attention. Each participant must, within 25 minutes, satisfy the examiners with his or her ability to accurately identify 6 different wines in a blind taste. They must identify the grape varieties used in the wine, as well as its country of origin down to the district and the wine’s vintage. The test is so difficult that most candidates must take it anywhere from 2 to 6 times before passing all 3 parts. The Court of Master Sommeliers has 4 levels of certification. Level I Introductory: This can be taken by anyone who has general knowledge and experience in the restaurant industry. You’ll take 2 days of classes and then must pass a multiple-choice exam. Level II Certified Sommelier was first offered in 2005 to bridge the gap between the introductory and advanced levels. It focuses more on service and has a 3-part test that includes blind tasting 4 wines. Level II Advanced Sommelier certification can only be awarded if you’ve passed the Level II exams and you take the Advance Sommelier course offered twice yearly. You must pass with a 60% or better grade in each of three exams—and all 3 exams must be passed together. Level IV Master Sommelier certification requires you to have worked in the industry for at least 10 years, above and beyond passing the 3-part test. You don’t have to pass all 3 parts together, but you have just 3 years to pass all portions. There are actually 2 coveted credentials for those who seek to be an acknowledged wine expert. The first is the Master Sommelier (MS), and then there is the Masters of Wine (MW). This second credential is awarded by the Institute of Masters of Wine. It’s just as exacting in terms of the knowledge that must be amassed. The biggest difference is that someone who holds a MW credential will know more about the entire wine industry, from growers to the general consumer. The test is similar to the one given to a Master Sommelier. There’s a theory exam, as well as a blind tasting. The final part is more scholarly, though. Each candidate must write a research paper about a wine-related topic. It has to be between 6,000 and 10,000 words in length. Which credential would be preferable in helping you choose your wine for the evening? Both are recognized as the highest credential awarded in the world of wine. So, individuals with either of these credentials would be extremely knowledgeable about the wines available. A Master Sommelier, however, has taken an exam that certifies excellence in the hotel and restaurant beverage service. In other words, they may be more pleasant to talk to. Dessert wines are known for their bold flavors, to be sure. But they also offer up subtle nuances that a sweet dessert might mask. A glass of wine to accompany your dessert? Or, maybe a glass of wine instead of dessert. Don’t hesitate. It’s an opportunity to discover another side of wine. They’re called “dessert wines,” and they mostly earn this moniker because of their high sugar content. The world will not end if you decide to have a glass at times other than the end of a meal. It is, though, one of the best times to enjoy a glass. Here’s what you need to know about dessert wines. What are dessert wines, anyway? A wine is considered “dry” if it has less than 1% residual sugar. Compare this to a dessert wine, which may have from 3% to 28% residual sugar. There is no specific grape that makes a dessert wine. Most varietals become such because of how they are made. They say timing in life is everything. For dessert wines, this means a late harvest. Winegrowers leave the fruit on the vine to over-ripen. It’s a process also known as “raisining,” and it allows the sugar level of the grapes to intensify while decreasing the juice content. Sometimes, a specific grape rot called Botrytis also sets in during the raisining process. Winegrowers refer to this as a beneficial fungus, while other fruit-growers are alarmed by its presence. It’s the last thing you want to see on your strawberries, but it’s sometimes cultivated for certain dessert wines. These raisined, sometimes-rotted grapes are then crushed for a much smaller yield of juice, which is then fermented just like other wine. There’s so much sugar that the yeast can’t eat it all before it creates alcohol and expires. You’re left with low-alcohol, high-sugar wines that are bursting with flavor and sweetness. It’s not uncommon for dessert wines to be sold in half bottles. Don’t expect a break on the price for half the amount of wine, though. The liquid is rich, so you sip and savor it. And, since there’s less juice from these late harvest grapes, it takes more to make even that half bottle. Late harvest wines have a low alcohol content. That’s not the case with port dessert wines. Port is what’s known as a “fortified” wine. A grape-based spirit—usually brandy—is added to the wine. The result is an alcohol content of about 18%, as well as a high sugar content. Purists will argue that true port wines originate only from Portugal or Spain. You will, however, find port wines made from many countries and all different kinds of grapes. Non-port dessert wines do not last long once opened, and they usually don’t age well. Both characteristics are due to the low alcohol content. Port’s much higher alcohol content means you can open a bottle and appreciate it for some time to come. There two main types of port. Ruby port is less expensive and more extensively produced. It’s aged for three years after fermentation in large closed oak vats. This preserves the rich red hue and bright, fruity flavors. Tawny port is allowed to evaporate or oxidize in barrels that are allowed to breathe. The result is a brownish or golden color, as well as a nutty flavor. These wines have a bit more in common with late harvest dessert wines—but they will be even costlier. Ice wines are made from grapes harvested after the first autumn frosts. So, not only are they raisined and maybe rotted, but they’re also frozen. Does it surprise you that Germany and Canada are the largest producers of ice wines? The grapes are crushed while still frozen so that the water content isn’t added. You’re left with almost pure grape nectar, and it takes a whole lot of grapes to get a season’s pressing. That’s what makes ice wine so expensive. Feel free to have just a glass of dessert wine, with no actual dessert to accompany it. These wines are known for their bold flavors, to be sure. But they also offer up subtle nuances that a sweet dessert might mask. There’s nothing wrong with skipping the cheesecake and having just a glass of dessert wine. That said, it’s true that there are some awesome pairings—such as a glass of port with a chocolate torte, or maybe a glass of ice wine with an unadorned bowl of vanilla ice cream. History’s most famous couples have always had a yin and yang kind of thing going on. Anthony and Cleopatra. Ricky and Lucy. Wine and cheese. It’s true. Opposites attract. In the case of wine and cheese—as with other famous food pairings—it’s a co-mingling of an astringent element to make the mouth pucker, and a fatty element to make the mouthfeel slippery. You know which one does which, but here’s why. Yes, that’s a word—at least to people who appreciate wine and food. Here’s what it means and why it’s a part of why wine and cheese pair so well together. Cheese is a fatty food. Wine is astringent. They oppose each other to create a balanced mouthfeel. Because fatty foods are oily, eating them lubricates the mouth. You take a bit of cheese and your mouth feels slick. Take a drink of wine and the tannins will make the mouth feel dry or rough. Fatty and astringent substances do this by binding at a chemical level with lubricant proteins in your saliva. Proteins in the saliva solidify, leaving the gums and the surface of the tongue without their usual coating. We humans don’t particularly like to have an overly slimy mouth. We’d rather not have our mouth puckered up, either. So, we want just the right amount of lubricating saliva. It’s why we find a sip of wine so perfectly refreshing after we nibble on a piece of cheese. It turns out that wine and cheese strike a perfect balance, or mouthfeel. Astringents can strengthen their effect with each drink you take. You’ll notice this if you enjoy sushi and you overdo it with the pickled ginger, or you drink an entire cup of green tea. Each bit of the pickled ginger or sip of the green tea reacts more strongly with those lubricating proteins in your saliva. This astringency doesn’t overpower with the first application. It’s usually subtle, and it’s when sipping wine as you make your way through a course of cheeses that the astringent wine eventually counterbalances the slippery mouthfeel. We learn over time and from experience how to create that balance while we eat and drink. We learn, for example, that the fatty mouthfeel from sushi can be counterbalanced best by taking a sip of the green tea or eating a small bite of pickled ginger. We know that gulping down the green tea beforehand, or munching down on the whole pile of pickled ginger won’t create the balance. It’s better to spread applications of the astringent substance throughout the meal. It’s why you enjoy taking bites of your pickle as you eat a salami sandwich—and of course, why you enjoy a sip from your glass of wine as you enjoy a cheese platter. Now you know the science behind why wine and cheese—and some of your other favorite food pairings—go so well together. As for why or how these famous duos got together in the first place, that’s up for debate. Why, for example, do we pair wine in and cheese? Who figured that out? Cheese and green tea would create the same balanced mouthfeel. You probably know the answer, or at least what seems logical. It’s likely that most of these famous food pairings happened because of culture and location. Why sushi and pickled ginger, rather than sushi and red wine? Or, why cheese and wine, instead of cheese and green tea? That’s still a gastronomical mystery, but it surely seems probable that it comes down to what was on hand at the time. Cheese is not something readily found in Asia even to this day. Wine has been around for about 6,000 years, and yet tea was not introduced to the western world until the 17th century. Wine and cheese go well together because of the fatty/astringent mouthfeel, and we have neighborly geographical origins to thank for their availability to pair and enjoy. That’s the reasonable story for the most famous of food pairings. However, you need to be careful how wine is used. It should always enhance the flavor and aroma of a dish rather than overpower other flavors. 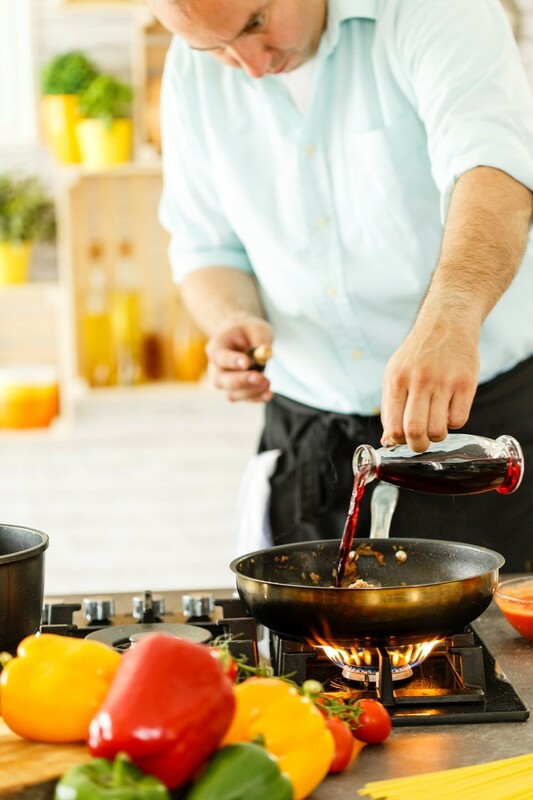 We’ve put together a list of 6 things to remember when cooking with wine. 1. Choose a wine you like. As for price, you don’t need to pick a premium or expensive wine to get great flavor, but cheap wine could ruin dinner. 2. White or red wine … which type is best to use? This choice will again come down to what you are cooking. Red wine makes a great marinade, as it helps enhance the food’s “inner” flavor. It also brings out the color and essence of the dish while adding dryness so it tastes less sugary. By contrast, white wine actually alters the flavor of food. Dishes may taste sharper. Sauvignon Blanc has high acidity so it works well with cream sauces. Pinot Grigio is ideal for poaching, while Chardonnay has the most complex flavors. White wines will often have flavor notes that include citrus, vanilla, caramel, and fruits; so, select wines with those flavors to enhance what you’re cooking. Flavor notes of red wine include plums, cherries, berries, chocolate, coffee, and mushrooms, so they pair well with those ingredients. 3. Think about what you’re cooking when choosing a wine. Are you making a main dish with protein such as meat, chicken, or fish? Maybe the wine is for a dessert? Sweeter dessert and fortified wines go best with desserts, as they help caramelize and create delicious sauces. In contrast, beef and pork require a more full-bodied wine, while chicken and fish generally do better with more acidic white wines. Of course, there are always ways to mix it up. Salmon might cook perfectly with the right red wine, for example. 4. Understand how wine will be used. Your choice of wine will have a lot to do with the type of dish you’re planning to make. Some chefs will use a lower quality wine if they’re making a braise, which means the dish will be cooking for a long time. If you need wine as a finishing flavor, choose something of higher quality to really enhance the taste. 5. Use the proper amount of wine. Cooking with wine is a delicate balancing act. Too little and you won’t get enough flavor. Too much and the wine will overpower everything else. You want to be like Goldilocks and get the amount just right. It actually doesn’t take much to do the job. 6. Know when to add wine. Cooking in general is about timing, from how long something should bake to when it’s time to get the dish out of the oven. When cooking with wine, never add it right before serving. If the wine is added too late, it won’t have time to reduce and the flavor may be too harsh. You should also be careful about adding more wine right away if you fear it’s not enough. A good rule of thumb is to wait ten minutes and then taste to see if the wine has worked its magic on the flavor. Wine serves as a great flavor enhancer in your dish. Use it wisely and you will be amazed by the results. Whether you plan to cook with wine or just drink it, Orange Coast Winery offers excellent choices. Look at our selections and enhance your next meal or party.